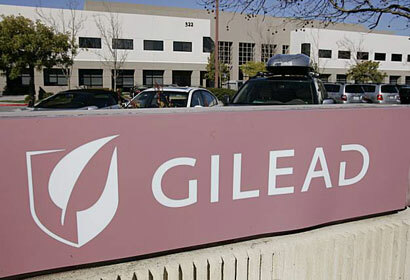 FOSTER CITY, Calif. — Gilead Sciences Inc. said Monday that the Food and Drug Administration rejected two marketing applications for HIV treatments, citing quality control problems at the company’s manufacturing facilities. The FDA informed the company in a letter that it cannot approve its HIV pills elvitegravir and cobicistat for use in managing the virus that causes AIDS. The agency noted that in recent inspections regulators have found problems with documentations and quality testing at Gilead Sciences’ facilities. The company said in a news release it is working to address the issues raised by the agency. A company representative said in an email that Gilead would not provide further details on the issue. Elvitegravir and cobicistat are already approved as ingredients in Gilead’s four-in-one HIV pill Stribild, which was approved by FDA in August 2012 for adults who have not yet been treated with anti-HIV drugs. Gilead a sked the FDA to approve the drugs as stand-alone treatments in June. The company is also seeking approval in Europe. Its shares fell 19 cents to $51.19 in trading Monday. Its shares peaked for the past year at $55.16 last Tuesday. They traded as low as $24.12 in early June 2012.